I ordered this from AdamBeauty, about $34CAD (after shipping) for 30g. I was very hesitant on ordering this because I couldn't decide on the shade to purchase and whether it would clog my pores like Skinfood and Hanskin did. I ended up getting the darkest shade, 03 Healthy Tone. 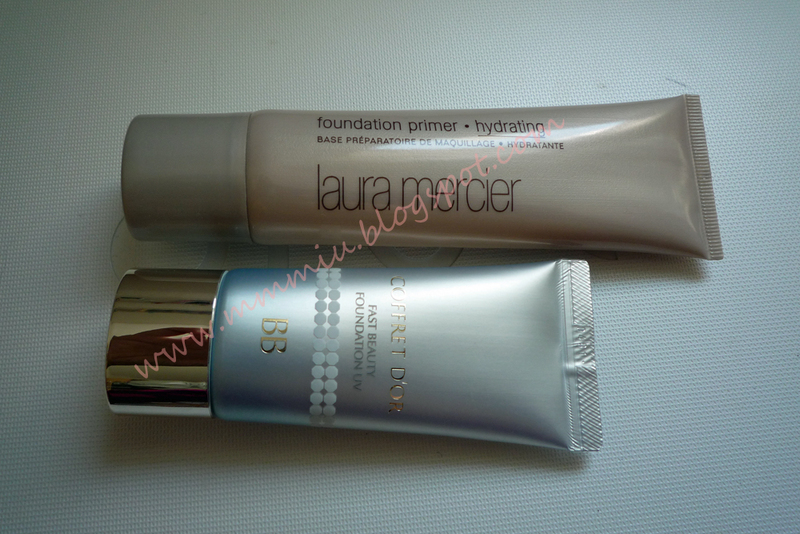 At first I was worried it would be a bit too dark, but I compared the online swatches of the P&J foundations and Lunasol (that I've used before) and concluded on shade 03 because those foundations were all a touch too light for me in the summer time. Plus, my Kiehl's Tinted Moisturizer was in Medium and it's quite dark too, so the 03 shade should suit me. I was surprised at how small it was, knowing that it was 30g. I'm thinking with regular use, I'll probably finish this in 2 months. Which isn't too bad for the price and what it does. 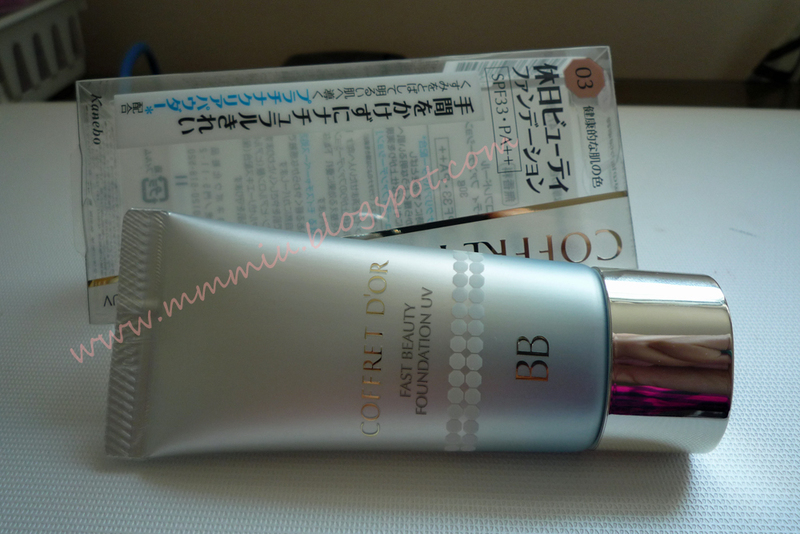 I'm not going to explain what BB creams are since there are a bajillion bloggers that did. This particular one comes with SPF 33PA++ and is unscented (yay!). I don't think there's a specific target for this BB Cream (like anti wrinkle or whitening). When I first applied it to my skin, I was surprised at how yellow toned it was! But after a few minutes, it blends into my skin nicely without any sallowness. The lasting power is quite good. I wore it on a day that I was up early to help my friend get ready for his wedding, running around, doing touch ups on people, through the rain and it still looked fresh. No creasing except a bit around my nose. Shine on my t-zone was bound to happen but it didn't look like an oily mess, just a bit of dewy-ness that I blotted. For comparison, I used the Maybelline foundation. Although I mentioned that it appeared very yellow, it somehow changed to my skintone, I can't explain it. Overall, I'm quite happy with this purchase. 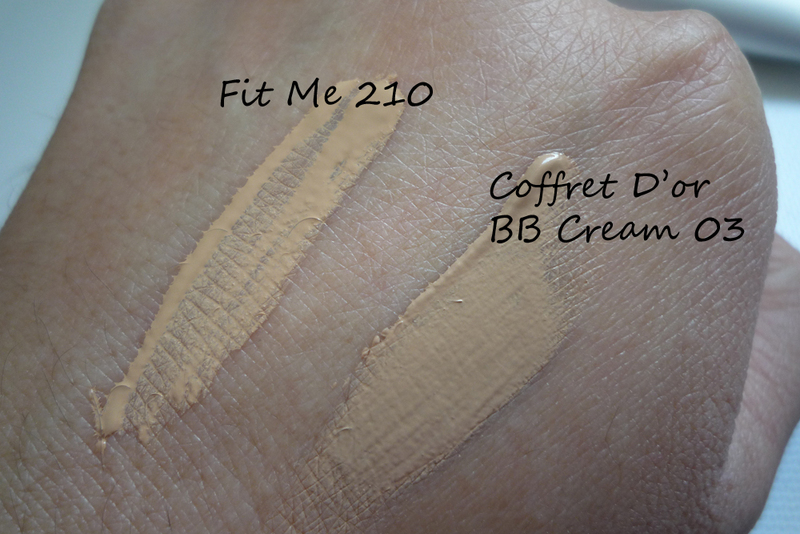 The BB cream has a light to medium finish, but a bit leaning towards medium depending on how much you apply. It has a nice creamy texture but spreads very easily without any streaks. I think it's worth a try if you like foundations that are lightweight and convenient because it has the SPF in it. Also, you don't need to use a base prior to applying this, so even more convenient!